News from the world of watches | Watchfinder & Co. The top news stories from all the best watchmakers in the world, including Audemars Piguet, Richard Mille and Breitling, plus we announce the winner of our Rolex Explorer competition prize. Lucky reader Brenlen Jinkins walked away with a Rolex Explorer competition prize, courtesy of Watchfinder & Co. and The Watch Magazine. 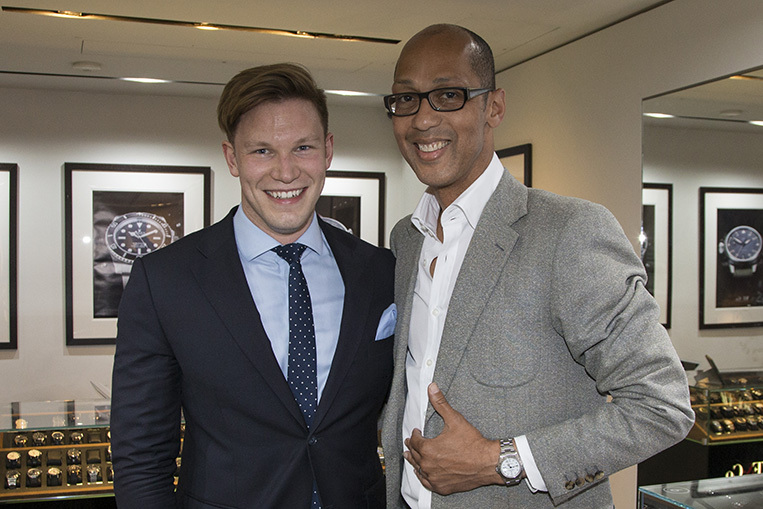 The watch was presented to him by Watchfinder London boutique manager Robert Brook in store at The Royal Exchange. For your own chance to win a Rolex, why not enter this issue’s competition? 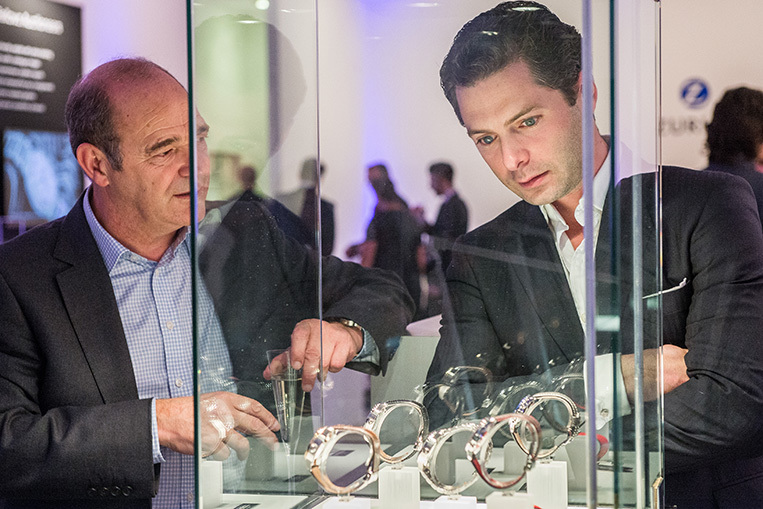 Watchfinder is proud to once again be named as official ticketing partner of SalonQP, Europe’s leading watch exhibition, housed over all three floors of the Saatchi Gallery in London. 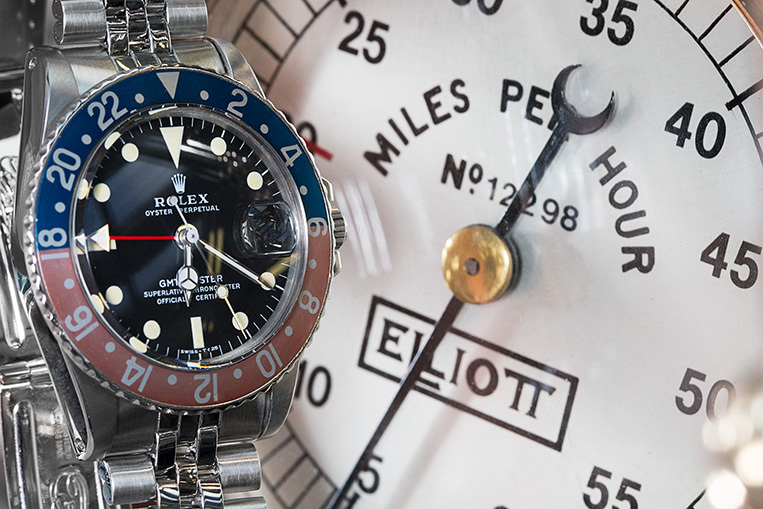 Tickets for the 2015 event, taking place from 12th-14th November, are now available, with all ticket purchases generating an entry into a prize draw to win a pre-owned Rolex GMT-Master II, courtesy of Watchfinder. 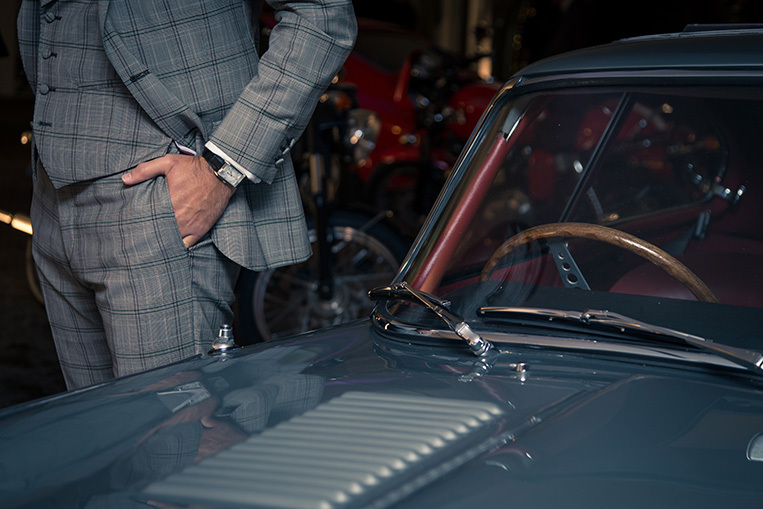 April saw Watchfinder partner with the Classic Car Club in London to present an evening of mechanical prowess. Watchmaker Julien Decrey was on hand to present a fascinating insight into the inner workings of a Rolex movement, while customers enjoyed the chance to test drive vintage automobiles, or to be taken for a chauffeur driven ride. Perhaps a wise choice considering the tempting spread of drinks and hog roast that was also available! Watchfinder recently visited P&A Wood, the authorised Rolls-Royce and Bentley dealers and restoration specialists since 1967. At their showroom in Dunmow in Essex, we had the fascinating opportunity to photograph a range of our watches alongside an array of vintage vehicles, including a Rolls-Royce Silver Dawn. 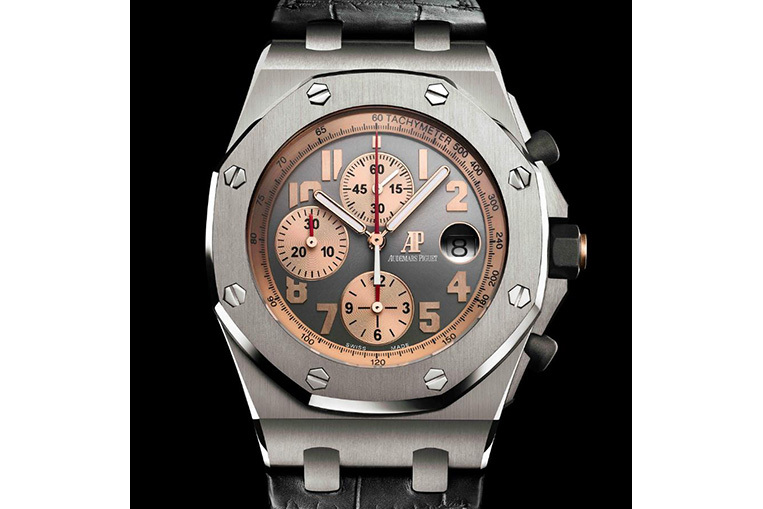 The Audemars Piguet Royal Oak Concept Laptimer Michael Schumacher answers the question posed to the brand by its ambassador in 2010. The legendary F1 driver requested the creation of a watch to measure and record multiple, consecutive laps when track side, which has come into being after five years of development. The Concept Laptimer is the first luxury watch to feature two indexing systems with independent ‘memory’ on a single chronograph. 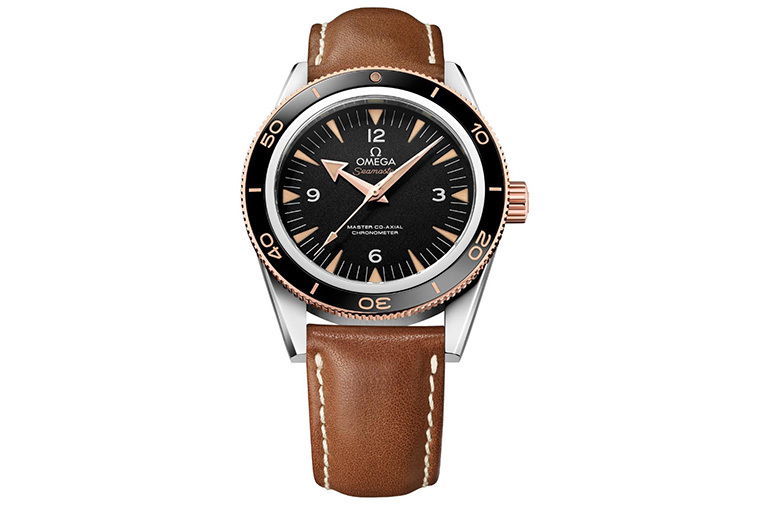 With Ceragold bezel, and 18kt Sedna rose gold crown, the Seamaster 300 Vintage Leather is a stylish update on Omega’s iconic model. 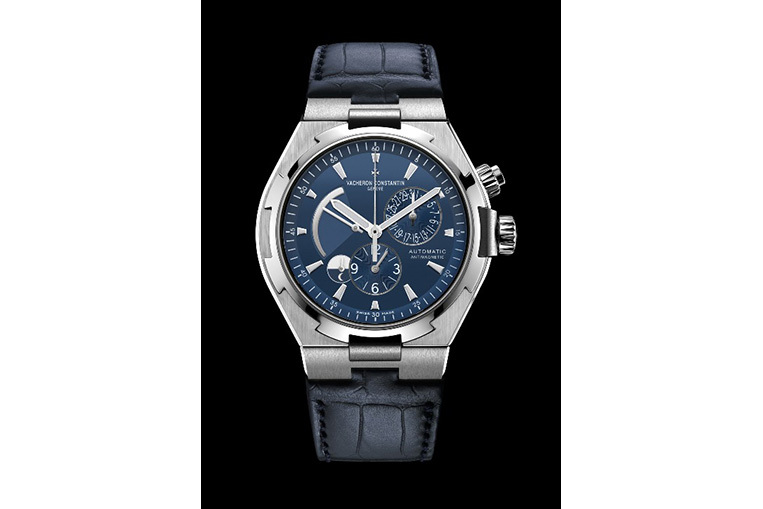 This latest version features COSC-certified in-house calibre 8400, with a power reserve of 60 hours. The balance is free sprung with a silicon balance spring, with two barrels mounted in series. Winding is automatic in both directions in order to reduce winding time. 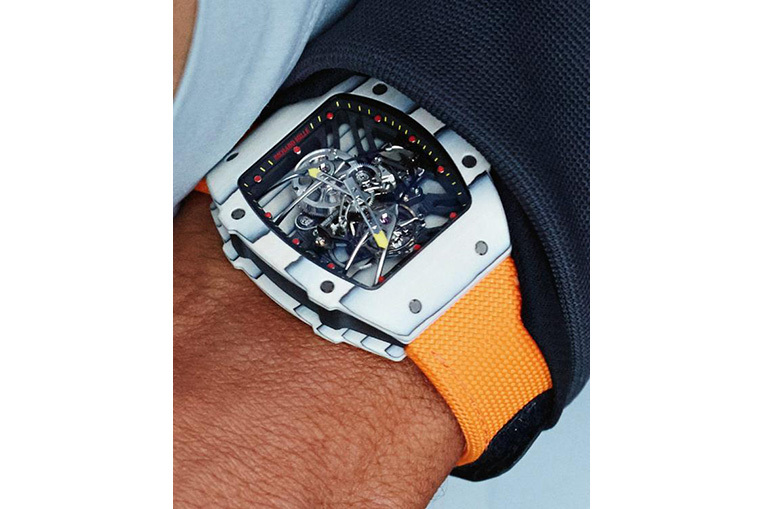 Dedicated to the 114th French Open, Richard Mille's Tourbillon RM 2702 Rafael Nadal unveils the first skeletonised baseplate, known as ‘unibody’, in which the caseband and baseplate have been fused to form a single piece. This is machined from NTPT carbon, which provides excellent resistant to micro-cracks. As with the previous models, tennis legend Rafael Nadal will wear the watch on-court. 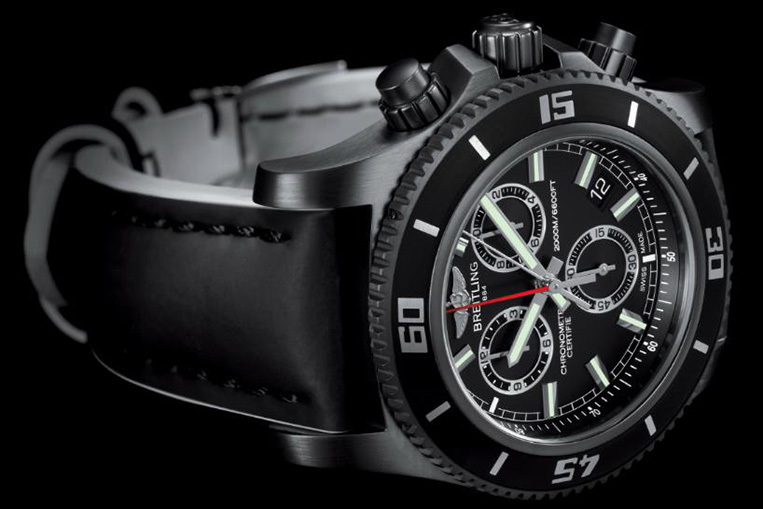 Created as a Limited Edition of only 250 pieces, the Breitling Superocean Chronograph M2000 Blacksteel houses an exclusive magnetic pushpiece system, allowing the chronograph controls to be handled via the metal of the case. This feature allows this timepiece to claim its title as the world’s first chronograph to be water resistant to 2,000 metres. The watch also features in-house calibre 73, and thermocompensated SuperQuartz movement. 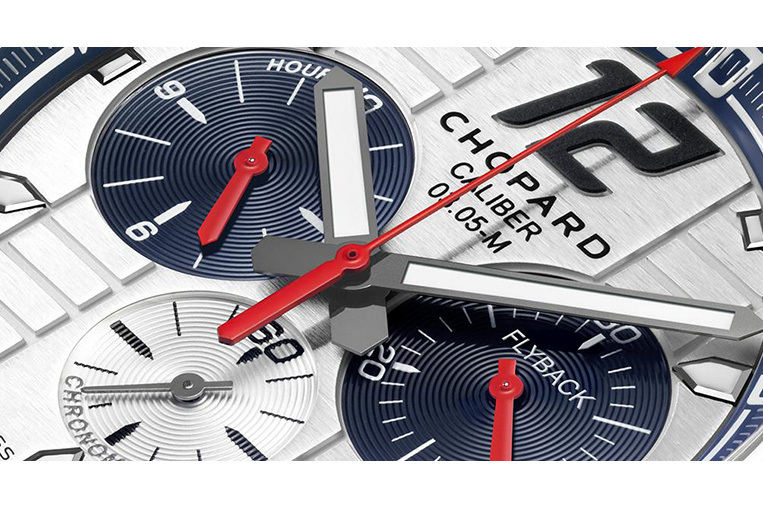 As Official Timing Partner of Porsche Motorsport since 2014, Chopard presents the Superfast Chrono Porsche 919 Jacky Ickx Edition, in homage to the legendary driver and Porsche ambassador. The colours of this model are those of the six time Le Mans winner, and features the signature of Jacky Ickx engraved into the caseback. This COSC-certified chronometer features a flyback complication, and boasts a power reserve of 60 hours. Standing as the brand’s most affordable piece to date, the HMX from MB&F marks ten years since the founding of the company. The anniversary piece celebrates the milestone with a vertical time display, making this an ideal driving watch. Circular disks displaying mirror image numerals rotate on top of the movement, with two optical prisms reflecting and magnifying the numbers onto the forward facing display. 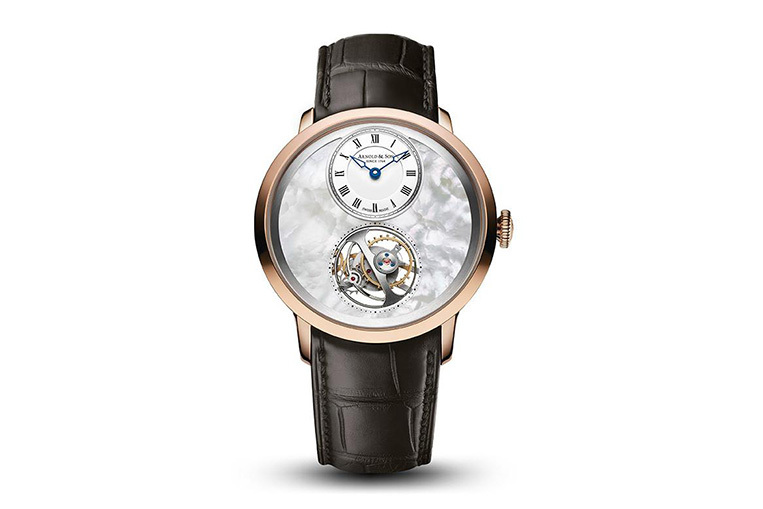 The Ultra Thin Tourbillon L.E from Arnold & Son showcases a spherical tourbillon cage, measuring 14mm in diameter, which rises out of the movement, and through the dial, allowing it to achieve the same height as the hour and minute hands. Produced in only 50 pieces, this timepiece uses Haute Horlogerie finishing to exquisite effect. 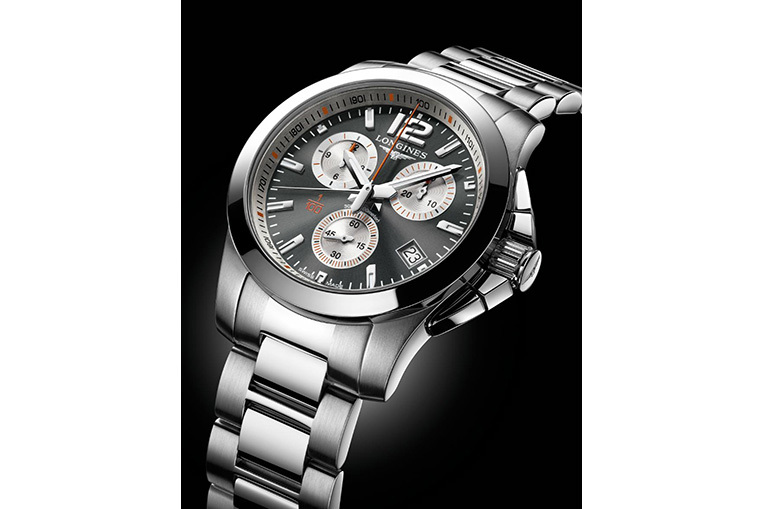 As official timekeepers of the French tennis tournament since 2007, Longines launches the Conquest 1/100th Roland Garros. A chronograph keeping time to one hundredth of a second, this Longines piece uses caliber L440, which includes a microcontroller with a flash memory, allowing the watch to be instantly reset and to record split times. The Conquest 1/100th features a commemorative ‘Roland Garros Paris’ engraving on the caseback. The Vacheron Constantin Overseas Ultramarine is designed with summer in mind, with ‘varnish’ blue dial, and water resistance to 150m. One of a pair of new models, this version features snailed counters and dual timezone, as well as a power gauge complication to keep track of the 40 hour reserve. The hands and hour markers are 18kt gold with white luminescence. 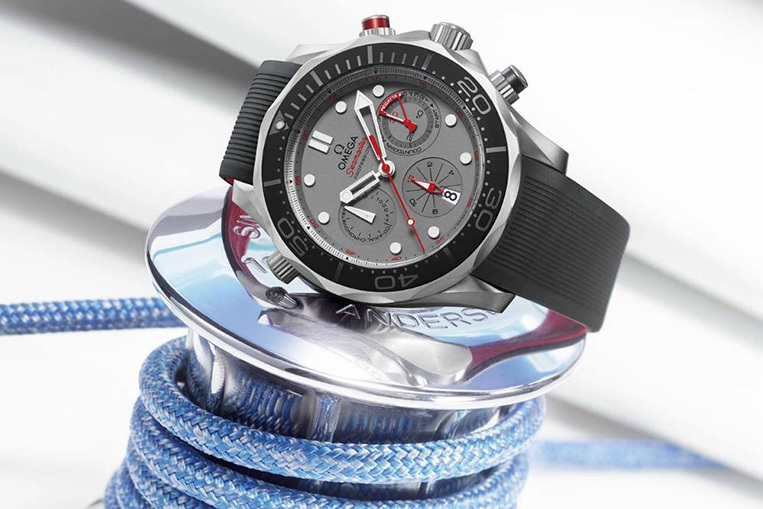 Celebrating its partnership with Emirates New Zealand sailing team, Omega launches the Seamaster Diver 300m ETNZ, using in-house calibre 3330. This model features a black ceramic unidirectional rotating bezel with a polished diving scale that displays indications created by laser ablation. Ready for the water, the piece also includes a Regatta countdown complication and helium escape valve. 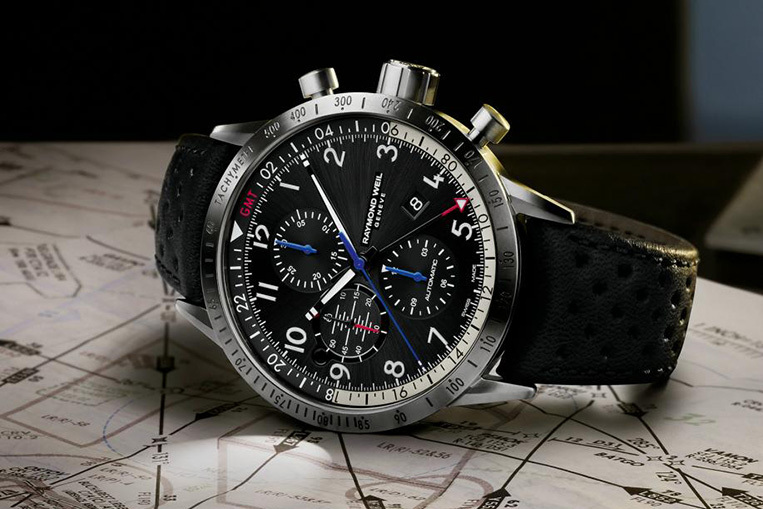 The launch of the Freelance Piper marks Raymond Weil’s first foray into pilot’s watches, perhaps a surprising delay considering that the brand founder was himself a keen aviator, flying through the Swiss mountains in a Piper plane. 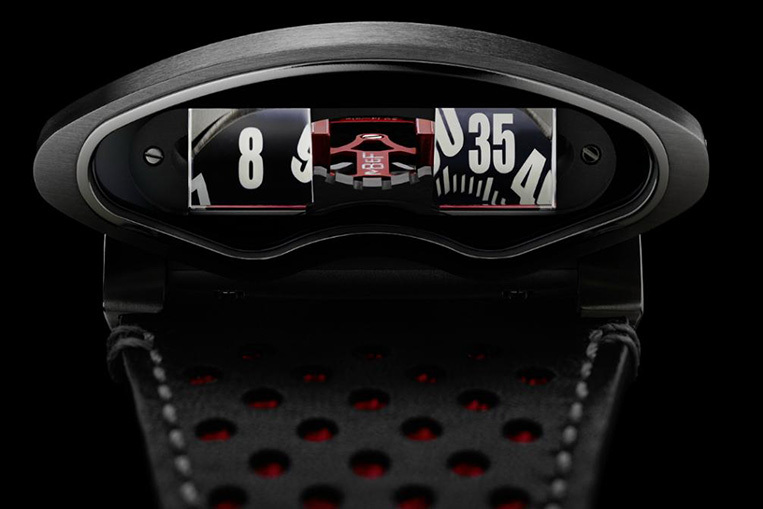 The black dial has been built to resemble an aircraft instrument panel, with propeller-tip markings finishing the hands. Each piece comes presented with a model Piper aircraft. 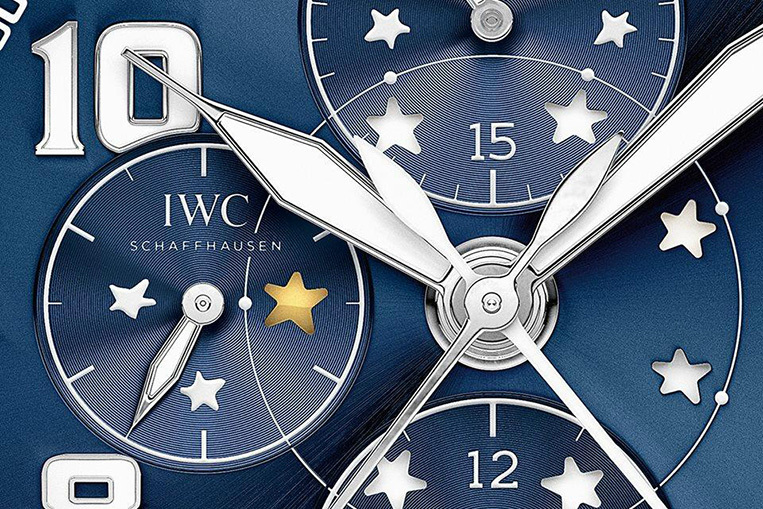 Celebrating the popular children’s novella, the IWC Pilot’s Watch Double Chronograph Edition ‘Le Petit Prince’ features innovative jumping star display. Each day, a new star lights up, representing the little prince’s journey to a new planet. This new literary tribute also houses a spit-seconds mechanism, and is powered by the IWC in-house caliber 79420, providing a power reserve of 44 hours. 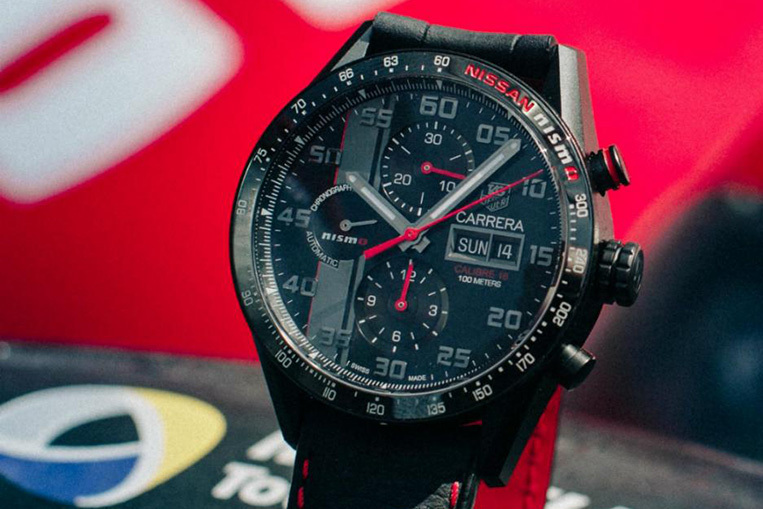 Marking their partnership with the Nissan GT-R LM NISMO racing car at the 2015 Le Mans, TAG Heuer releases the Carrera Nismo Calibre 16, in reference to Nissan’s return to the event after 16 years. As well as a ceramic tachometer bezel, the special edition features a Nissan NISMO decal upon the caseback. The case is built from titanium that has been micro-basted with titanium carbide. 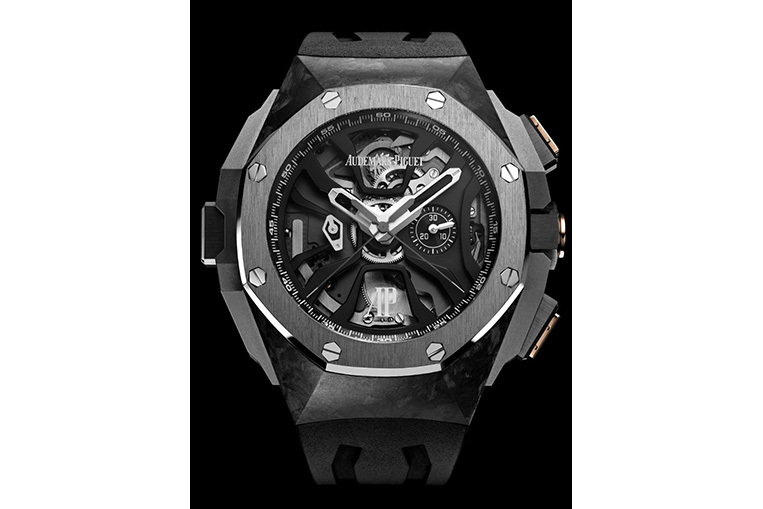 As a Limited Edition of 100 pieces, the Audemars Piguet Royal Oak Offshore Pride of Indonesia features a luxurious 18kt gold engraving of the Indonesian eagle upon the caseback, designed to celebrate the popularity of the Royal Oak Offshore within the country. With anthracite grey dial and rose gold-toned counters, this commemorative piece is a combination of 365 parts with a 50 hour power reserve.